A graduate of Barnard College, NYU and the Columbia School of Journalism, Madiha is currently an independent multimedia/print journalist reporting on conflict, culture and politics in Pakistan; somehow she has also found the time to co-edit Dispatches from Pakistan (LeftWord Books, 2012) with the indefatigable Vijay Prashad and Qalander Bux Memom: more about Madiha here. “Louder than bombs” begins with harrowing and matter-of-fact (all the more harrowing because matter-of-fact) testimony from Sadaullah Wazir, a teenage boy who lost both his legs and an eye after a US drone attack in North Waziristan in Pakistan’s Federally Administered Tribal Areas; he was just 13, and three other members of his family were killed in the attack. Madiha’s root objection is to the way in which what she calls the Obama administration’s ‘theatrical performance of faux secrecy’ over its drone war in the FATA (and elsewhere) – a repugnantly teasing dance in which the veil of secrecy is let slip once, twice, three times – functions to draw its audience’s entranced eye towards the American body politic and away from the Pakistani bodies on the ground. The story is always in Washington and never in Waziristan. It’s a hideously effective sideshow, in which Obama and an army of barkers and hucksters – unnamed spokesmen ‘speaking on condition of anonymity’ because they are ‘not authorised to speak on the record’, and front-of-house spielers like Harold Koh and John Brennan – induce not only a faux secrecy but its obverse, a faux intimacy in which public debate is focused on transparency and accountability as the only ‘games’ worth playing. Even as we debate the legal machinations, official leaks and governmental manipulations by which they are killed, the daily, material, precarious existence of the people living under the disquieting hum of american drones in Pakistan’s tribal areas rarely sits at the center of discussion. But what if it did? if, instead of the public secret, one begins with a prosthetic limb, a glass eye, and a funeral photo, the nightmare takes form, solidifies. None of this means that the law does not matter; its matter-iality ought to be obvious. But it is to say that we need to be alert to what appeals to ‘the law’ do – and what they seek to foreclose. Legal questions do matter – but their answers must not be allowed to silence other political and ethical questions. Neither should they close our eyes to the contrapuntal geographies that are staged far beyond the peep-shows of the Washington beltway. 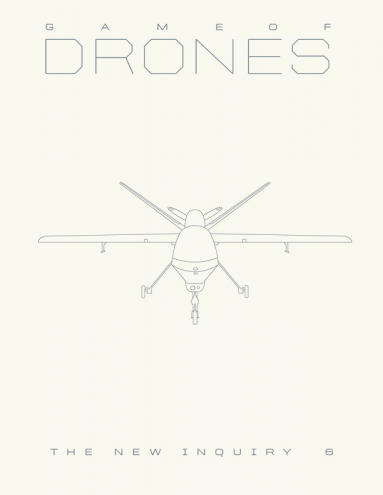 Note: For more on drone wars, see Remote witnessing and, in detail, ‘From a view to a kill’ and ‘Lines of descent’ (DOWNLOADS tab). I’ve also provided a preliminary reading/screening list that notes some of the same emphases and omissions that trouble Madiha here. This entry was posted in bombing, drones, law, Pakistan and tagged Eyal Weizman, Madiha Tahir, Waziristan by Derek Gregory. Bookmark the permalink.